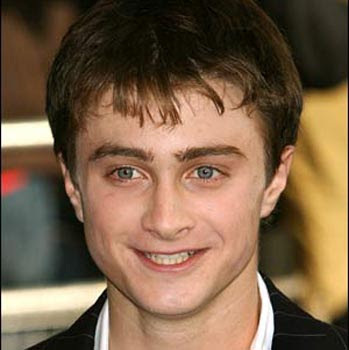 HARRY Potter star Daniel Radcliffe has confessed in a frank interview to a gay magazine - he is a Liberal Democrat. The handsome actor - who turned 20 yesterday - appears on the latest cover of Attitude and inside reveals his true political feelings. He tells of his deep dislike for Prime Minister Gordon Brown and Tory leader David Cameron. The multi-millionaire also tells how he grew up surrounded by his parents' gay pals and hates anyone with a homophobic attitude. 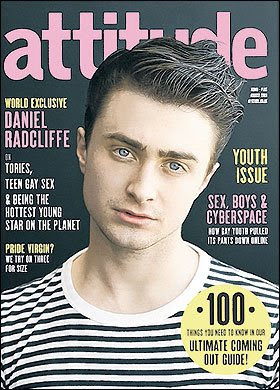 Radcliffe - who is not gay and is dating actress Laura O'Toole - said: "I just loathe homophobia. It's just disgusting and animal and stupid and it's just thick people who can't get their heads around it and are just scared. "I grew up around gay people entirely. I was the only child in my class who had any experience of homosexuality or anything like that." The actor - who battles soul-sucking Dementors as the boy wizard and is currently starring in Harry Potter And The Half Blood Prince - said he supports Lib Dem leader Nick Clegg because the other parties offer nothing to young people. He said: "I rather like Nick Clegg. At the next election I will almost certainly vote Lib Dem. Radcliffe's opinion on David Cameron is no more positive. He raged: "No! No, no, no, no, no! David Cameron is barely distinguishable from Tony Blair." He also blasted the BNP who won two seats in the recent Euro elections, saying: "I hate any type of prejudice."